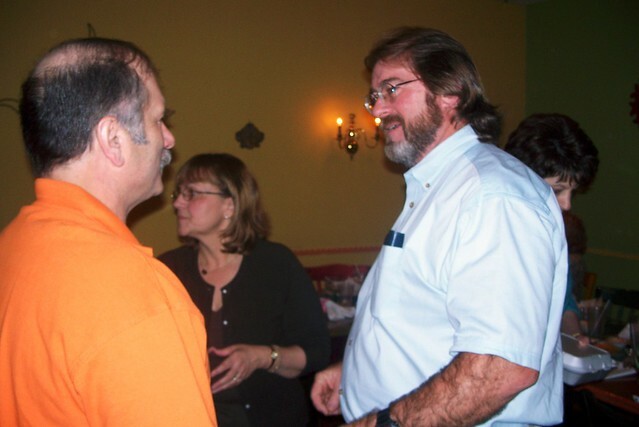 The 34th class reunion dinner was held on October, 29, 2007,at Tampico’s in New Iberia. (L-R): Berle Pullin, Christine Mayard (Chris Mayard’s wife), and Chris Mayard. Looking pretty hairy, Chris? Michael Babin and his wife, Rhonda. What is that at the end of the table?